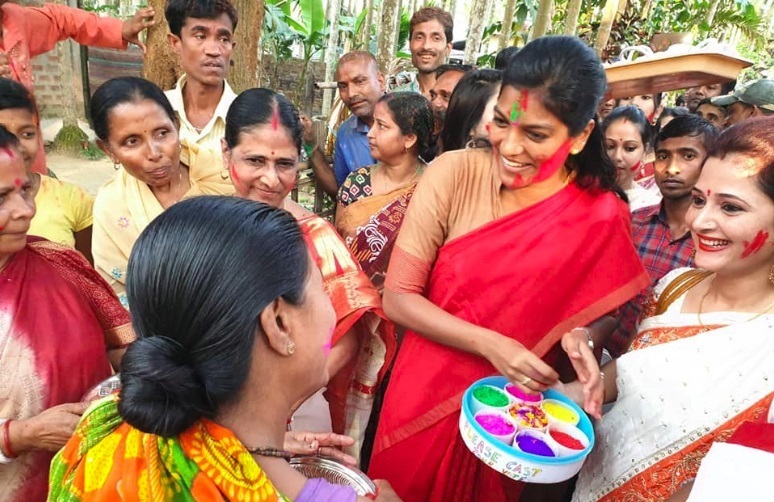 The first woman Deputy Commissioner of Assam’s Hailakandi district, Keerthi Jalli, put in her best foot forward to ensure electoral participation by voters but there are other areas of awareness she feels are essential too, which has to do menstrual health of women. During the voting awareness programmes conducted by Jalli, district authorities of Hailakandi distributed 250 packs of sanitary pads among women voters, according a report by the Hindu. “We branded some sanitary pads in SVEEP material and distributed them to women who came out in the open breaking myths on menstrual hygiene besides deciding to cast their votes,” Jalli said. The gesture struck a massive chord with the women of the district. Other than menstrual health, there were other pleasing ideas to inspire the women to come forward and make effective use of their democratic rights. The district administration distributed pairs of ‘shakhas’ – a traditional bangle worn by married Bengali women which is made out of conch shell along with ‘pola’ made out of red coral. In a unique style, 300 pairs of shakhas, each printed with the message to vote on the 18th of April, was distributed were distributed. Seba Sabdakar, of Tempur village under Matijuri Paikan gram panchayat was evidently touched by the act. “I will vote but will probably keep the bangles in safe custody as a trophy,” said Sabdakar. Out of the total population in the Bengali-dominated Hailakandi district, 60.13% comprises the Muslim community, according to the 2011 census. At North Narainpur village of the district, women were presented with ‘shitalpati’ – a mat having a cooling effect- featuring the Election Commission’s logo. Also, the tea-plucking women of the district were presently surprised with ‘jaapi’ or cane-bamboo sunshades branded with SVEEP material. “About 300 such ‘jaapis’ were distributed,” noted Jalli. Hailakandi which falls under the Karimganj Lok Sabha constituency goes to poll on April 18.